C. Robert Kidder will succeed Robert Nardelli as chairman of Chrysler Group LLC, the company made of Chrysler's viable assets to be controlled by Fiat after the bankruptcy. DETROIT -- Robert Kidder, a private-equity investor and former consultant who once did work for Ford Motor Co., will become the chairman of Chrysler Group once the automaker emerges from bankruptcy and completes an alliance with Italy's Fiat S.p.A.
Kidder, 64, will succeed Robert Nardelli, who has led Chrysler from its 2007 breakup with the former DaimlerChrysler AG. A board of directors to be selected after the alliance is complete will choose Nardellis replacement as CEO with Fiats concurrence. Fiat CEO Sergio Marchionne has said he will become Chryslers chief executive once key assets from its operations are sold out of bankruptcy protection to a new operating company in the coming weeks under a deal financed and brokered by the Obama administration. Kidder, who was also the CEO of battery maker Duracell, serves as the lead director of Morgan Stanley and a board member at Schering Plough Corp.
Kidder's appointment was the first announced for the nine-member board that will oversee the new company. The U.S. Treasury will appoint four of those directors, while Fiat will appoint three. Kidder, who will help steer the search for other Chrysler board members, will count as the first nominee for the U.S. government on the board. Chrysler has said that a majority of its new directors will be independent as it breaks its ties with former private equity owner Cerberus Capital Management LP. Nardelli was installed as Chryslers chairman and CEO when Cerberus bought the automaker in August 2007. He announced his plan to leave the company on April 30, the day it declared bankruptcy. He will return to Cerberus as an adviser. "I am confident that Chrysler will emerge from Chapter 11 a lean and powerful competitor, combining its own rich history of innovation with Fiat's technology and expertise to invigorate the American car market and to challenge other car companies around the globe," Kidder said in a statement. He could not be immediately reached for further comment. Kidder began his career at the Chicago office of consulting firm McKinsey & Co, where his clients included Ford. He became CEO of Duracell in 1989, when the battery maker was taken over by Kohlberg Kravis Roberts in one of the largest leveraged buyouts of the 1980s. Kidder was credited as the architect of Duracell's "copper top" battery marketing that helped the company close the gap on market leader Eveready. At Duracell, Kidder was also part of the management team that became 30-percent owners of the firm in the KKR buyout. 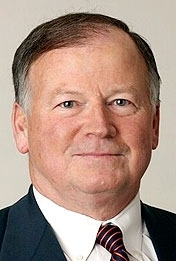 After a brief retirement, he returned to KKR to become CEO of Borden, where he oversaw efforts to split up and sell off business units such as Borden Dairy and Borden Food. Kidder currently serves as the CEO of Columbus, Ohio-based 3Stone Advisors, which manages a private equity fund focused on investment in water testing and quality monitoring. Kidder was paid $229,500 in fees and stock awards as a Schering-Plough director in 2008 and $375,000 at Morgan Stanley. He holds a masters degree in industrial economics from Iowa State University and a bachelors degree in industrial engineering from the University of Michigan.